Follow us on twitter @UMassBabyBerk to find our daily schedule or get real time location update on our app. Indulge in a 100% Grass Fed Beef babyBerk Burger, Steak Poutine, or one of our famous vegan Franklin Burgers. 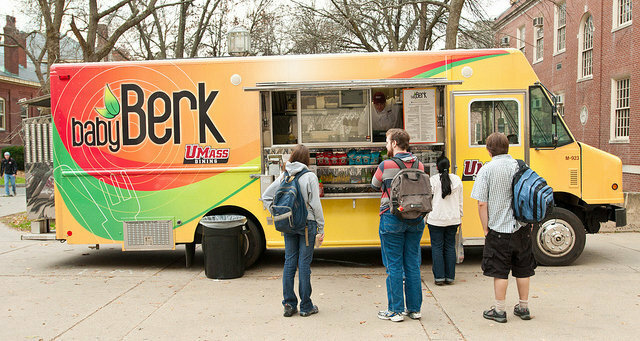 babyBerk brings Award Winning UMass dining to you!